As a complete fly-fishing rookie, I fished the Trophy Stretch in Pittsburg, NH, and landed a huge broodstock brook trout. Talk about beginner’s luck! The fly? 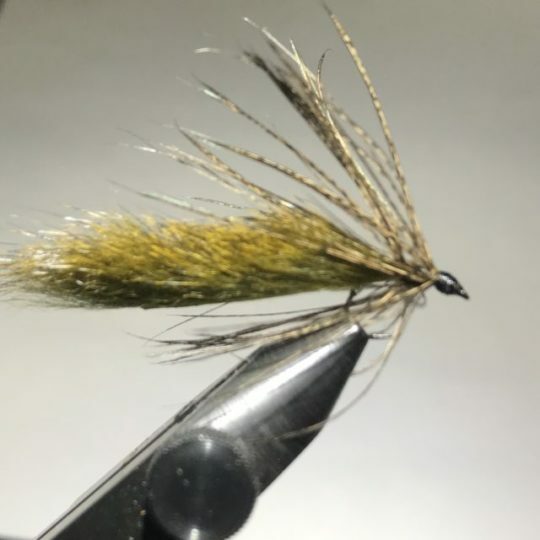 A Jack Gartside-style soft-hackle streamer bought at a fly shop. Recently, I read Dave Hughes’ excellent book Wet Flies, about which Joe Drake had written and one which I had long eyed. It is excellent and a must-have book, IMO. I’ll be writing in the future about some patterns from that book. I’ve been inspired as a result to make some soft-hackle streamers. One is a size six in grey, meant to imitate smelt. It accounted for one of the two grabs during my recent Marathon Day at the Farmington. A simple tie: pearl Krystal Flash, grey marabou and wood duck. The other is a size 14 streamer/wet fly/leech. It uses olive pine squirrel and a soft Coq de Leon feather. I’ve made it with two lengths. Also, one incorporates green Krystal Flash, and the other has holographic tinsel. I will fish both and let the fish decide which one they like better. For durability and a bit of shine, I sealed both whip finish knots with Loon UV Flow. I’ve learned that the slight shine matters on some days when fish are very picky. It really is fun to goof around at the vise on a cold winter evening! Agree 100% on the Gartside Soft Hackle Streamer! Thank you! Any favorite colors? Thanks, David! Will check out the pattern and appreciate the link. I like your chances with those streamers. A great time of year to try different patterns. I am in the winter zone where I look at my flies and identify those I tied this time last year and never used, some of which I wonder what I was thinking when I tied them. After taking them apart and sharpening the hooks, I use them to tie patterns I use and lose the most and am now reloaded on those. 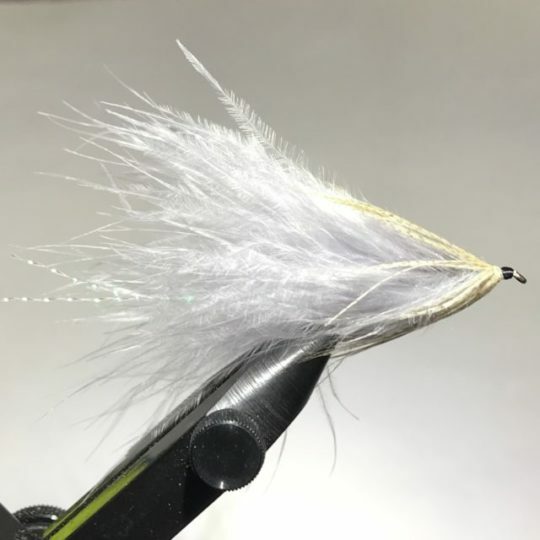 Ready to tie some new patterns, thanks for the suggestions on the flies you posted. Thanks for the note, Sam! More fly tying posts en route! 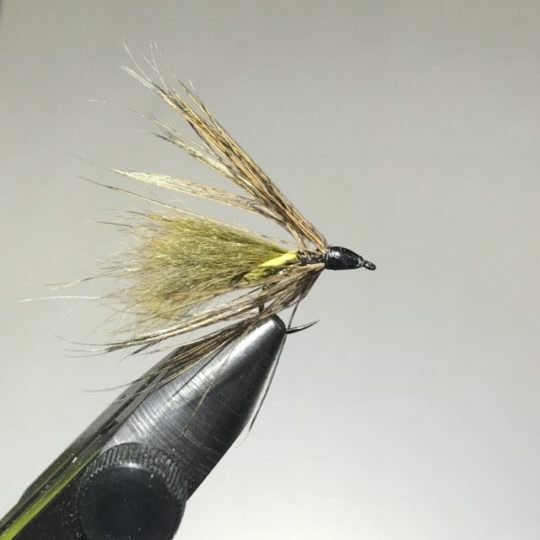 the great thing about tying at this point in the year is that every fly, and particularly the patterns we make up ourselves, is an absolute killer. I have be imaging that 20 pound striper hitting the sand eels I have been tying this morning. I hope so! A good use of time in the winter, too.